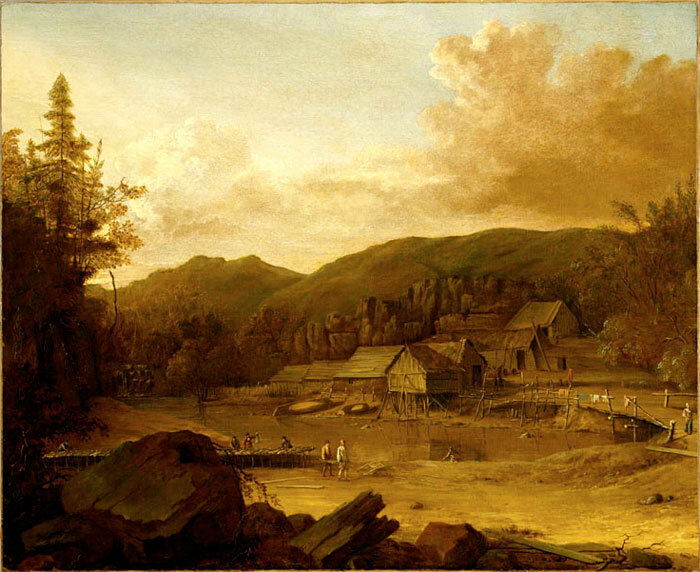 The survival of an overseas colony depended on the promotion of local businesses, the harvesting of natural resources and the production or supply of basic necessities such as food. This section deals with the beginnings of commerce during the era of French colonization in North America. Whaling and cod fishing, both seasonal activities, prompted the settlement of the first French colonists on the continent. Of course, only a small proportion of the population were directly involved, but fishing and whaling nevertheless continued to be a significant component of the economy throughout the course of the French regime and even much later. But the fur trade was the real economic driver of New France. The harvesting of furs created wealth, stimulated the exploration of the continent and created alliances with many Aboriginal peoples. Lastly, although France’s mercantilist policy prohibited the establishment of companies likely to compete with those of the mother country, numerous initiatives gave rise to an artisanal and industrial sector.